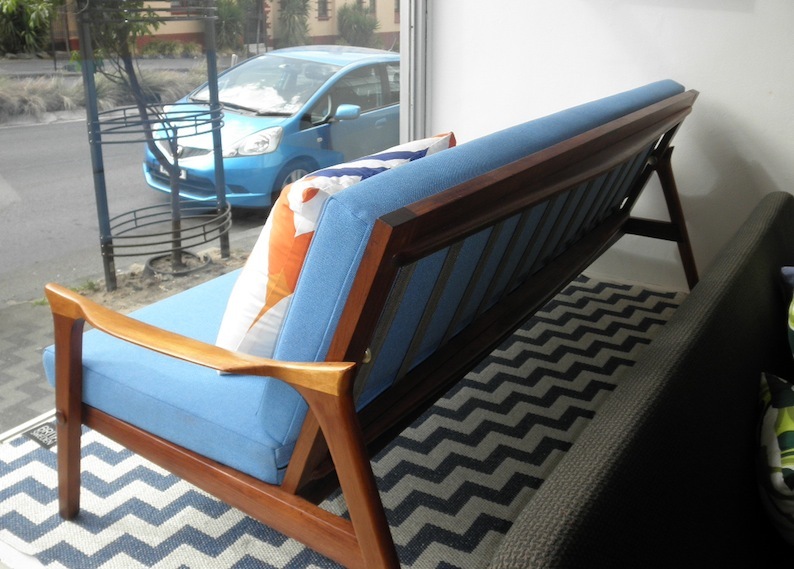 This classic Inga daybed is fully restored and ready to go with new strapping, cushioning,quilting, vibrant blue Warwick upholstery and the frame has been reconditioned. We check them for loose joints, cracks and other faults. We refinish them if needed and stand by our workmanship with a guarantee on the frames for 6 months from purchase for any repairs that may be needed- not applicable for interstate sales. 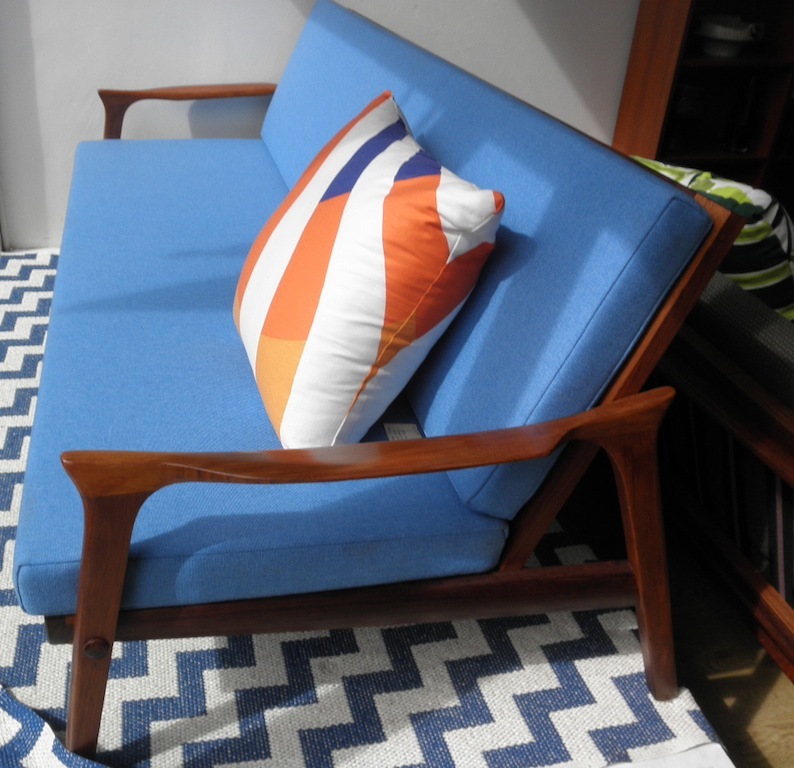 We also restore them for any one who has one that needs anything from woodwork to reupholstery- we can supply the pre made cushions, covers and straps with cleated steel slot in straps or do a full job. Call me for a quote on what you need done.